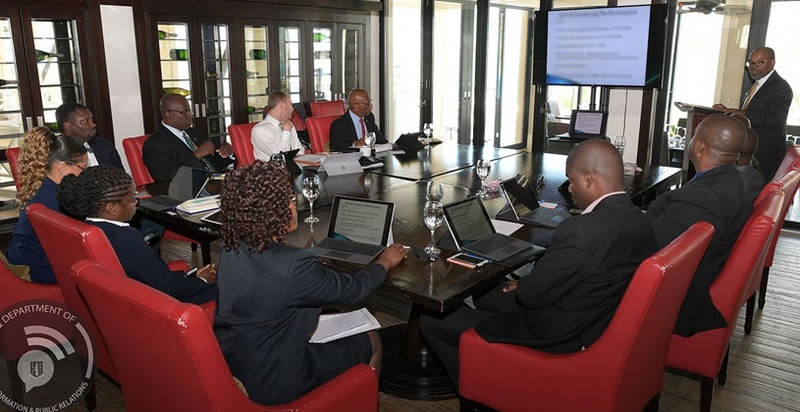 The Cabinet was recently briefed on a number of key areas of concern as it relates to the state of the Territory and its development, when they held an Executive Briefing Retreat at the Scrub Island Resort Spa and Marina. According to a press release, on Wednesday, March 20, Cabinet met and discussed areas such as Good Governance, Economic Substance, Recovery, Disaster Management, Infrastructure, Finances, Security, Public Service Transformation, and Financial Services with the relevant officials. “What is good we will continue and what is not, we will adjust. We want to remove Government bureaucracy while still being accountable and efficient,” he added. Cabinet saw presentations from officials including Deputy Governor Mr. David Archer, Financial Secretary Mr. Glenroy Forbes, Permanent Secretary in the Deputy Governor’s Office Mrs. Carolyn Stoutt-Igwe, Acting Permanent Secretary in the Ministry of Communications and Works Mr. Jeremy Hodge, and Managing Director of the Financial Services Commission Dr. Robert Mathavious. The press release further indicated that Executive Director/Office of International Business (Regulations), Mr. Neil Smith, Chief Executive Officer of the Recovery and Development Agency, Mr. Paul Bayly, Commissioner of Police, Mr. Michael Matthew, Deputy Commissioner of Police, Mr. Alwin James and Director of Disaster Management, Ms. Sharleen DaBreo, MBE, were also presenters.